Confused and frustrated by the number of different (and sometimes complicated) e-commerce solutions that exist today? Curious about what the three leading WordPress ecommerce plugins have to offer? Then this session is for you! Join Mika Epstein, Justin Sainton, Patrick Rauland, and Benjamin Bradley for an informative and detailed walkthrough of Easy Digital Downloads, WooCommerce, and iThemes Exchange. By the time they're done, you'll know exactly which plugin is right for your needs AND how to configure it. This session we have four presenters. 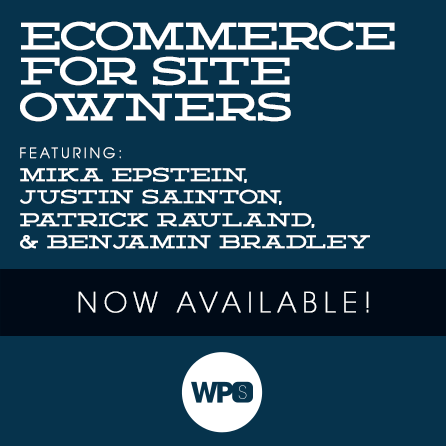 Mika Epstein, Justin Sainton, Patrick Rauland, and Benjamin Bradley are here to show off each of the most popular ecommerce plugins for WordPress. During this session you’ll get a detailed overview, walkthrough, and demonstration of Easy Digital Downloads, WP e-Commerce, WooCommerce, and iThemes Exchange. By the time the session is over you should know exactly which plugin is best for your needs, as well as how to get started using it. This session features one small twist: Mika Epstein will be presenting on Easy Digital Downloads on Thursday, April 10. The other two presentations will be on Saturday, April 12. Are you only going to sell digital products? How about memberships with privileged site access? You’ll want to hear all about what Easy Digital Downloads (EDD) can do for you. Mika has a lot of experience running it on her own shop, and she’ll walk you through the lessons she learned getting started. Get ready for a deep dive into one of the longest-running WordPress-powered eCommerce solutions available. Learn why WPEC has been able to maintain a massive market share for so many years, and see if it is a good fit for you. The landscape has changed quite a bit in the last 5 years, come see what’s new! Far and away, Exchange is the simplest ecommerce plugin you will ever use. Let “The Professor” Benjamin Bradley take you through basic installation and setup and selling your first product. Then, with the other 35 minutes he’ll have left, you can learn about all the cool features and benefits of working with such a simplified (and feature rich) tool.